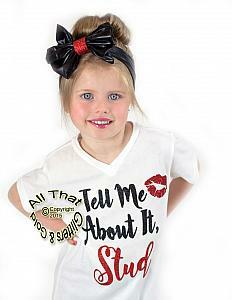 This is an exclusive and original design by All That Glitters & Gold! Are you looking for something really cute and unique for your little one to come home from the hospital in or do you know someone who is expecting and want to get them to the cutest baby shower gift possible? 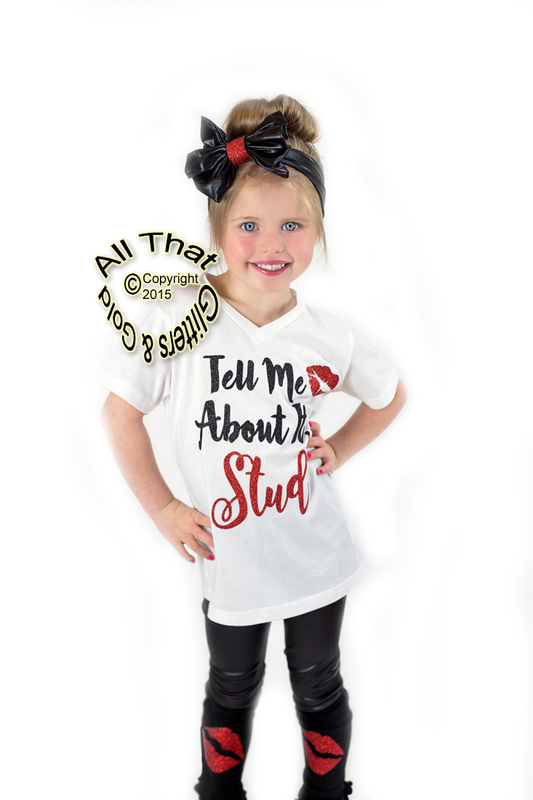 If so, our Black and Red glitter ell Me About It Stud Grease baby girl outfit is the perfect item. It's cute, stylish and outright funny. 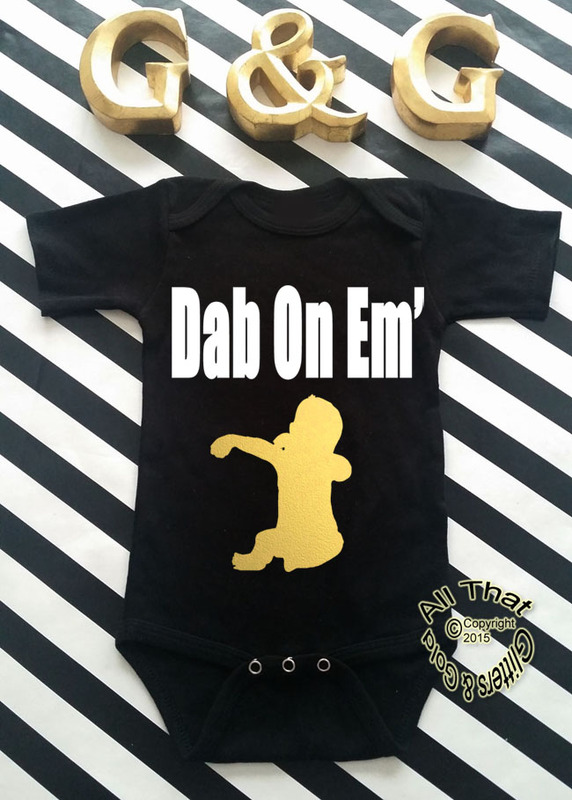 Dress your baby or girl in this outfit while at the hospital and we guarantee that everyone who see them will give you a chuckle..... in a good way. Machine wash cold inside out. Hang Dry Only. Iron inside out. Do not iron over the glitter or metallic foil letters. Do not fold your garment as it will leave a crease in the design. It's best to hang it up.